Our Country shop offers a superb selection of the finest Local Northumbrian and Scottish Borders produce to take home with you. 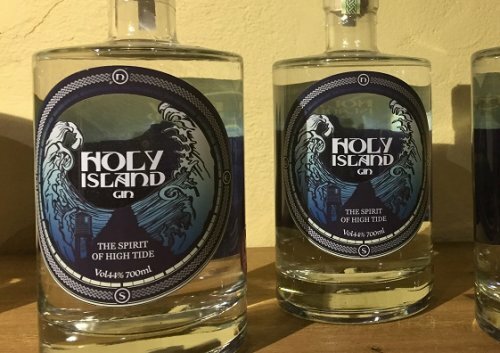 We now also stock Holy Island Gin which has proved to be a very popular gift to take home from our area. It is carefully crafted on Lindisfarne Island and is a very versatile gin which can be used in any classic cocktail. We also have a great selection of Lindisfarne Meads, original, spiced or pink, Lindisfarne wines and a great selection of Lindisfarne beers. A perfect gift to enjoy. 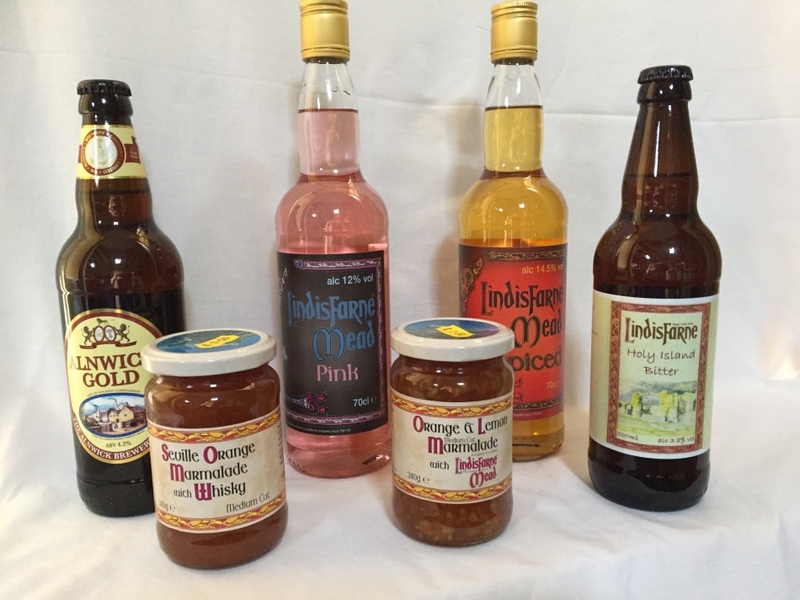 Such delicacies include traditional Lindisfarne Mead from Holy Island, a great range of Border Biscuits, Local Honey from Chain Bridge Honey Farm and also Giacopazzis Ice Cream from Eyemouth. The kitchen staff are always very busy in our kitchens making our own homemade jams and chutneys. They are all made using traditional methods using our own “Borewell Apples” picked from our own orchard at the farm. We also have a selection of homemade soups in our freezer section that are easily defrosted and heated up to make an excellent “quick lunch”. There is also a wide selection of artisan crafts and gifts which make ideal presents for all your family and friends. 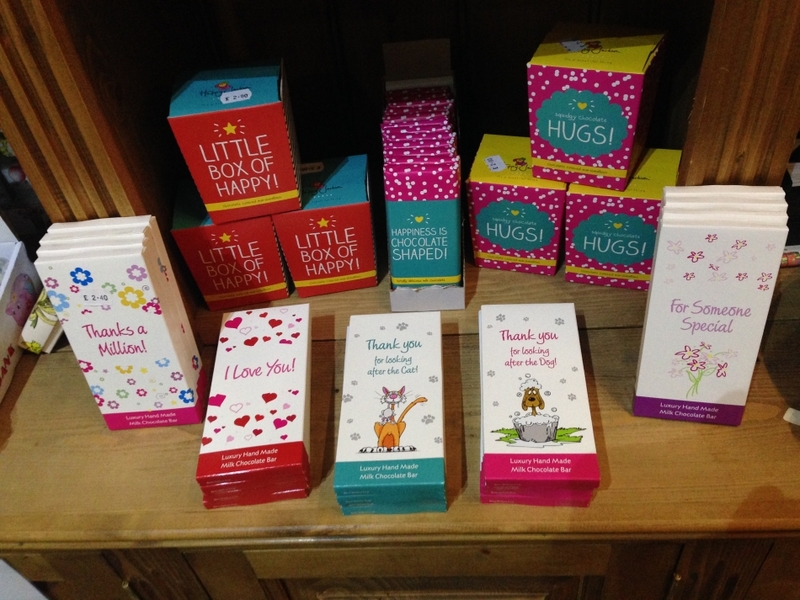 And of course we have a selection of toys books and sweets to tempt our little friends who come to Pot a Doodle Do and want to spend some of their pocket money. If you are looking for a special gift for Mum or Granny we have a great selection of scarves and costume jewellery and also lots of “Bath Bomb” cosmetics and wonderfully scented candles. We haven’t forgotten about out holidaymakers staying in our wigwams and yurts. We have a selection of the “forgotten essentials” such as toiletries, matches, marshmallows, washing up essentials and even batteries for your torch. If you are heading to the beach for a picnic or just to lie on the golden sands we have a selection of rugs to choose from. We also have citronella candles – great for keeping the bugs at bay! And of course we have buckets and spades so that the kids can make a sand castle on the beach!